I’ve been speaking Spanish for 10 years. The last time I took an academic class was 2006. I’ve been speaking and using the language for long enough that sometimes I forget the exact translations of words, and if someone were to ask me what a word means, I would have to offer several contextual meanings in which I use the word before I could give an exact English equivalent. In Spanish, the word “onward” translates to “adelante.” But if I try to translate “adelante” back into English, I have to think through “moving forward” and “in the future” before I get to “onward.” Because that’s what the word “onward” contains, an indication of forward motion and the indisputable fact that there will be a tomorrow whether or not you like it or are ready for it. 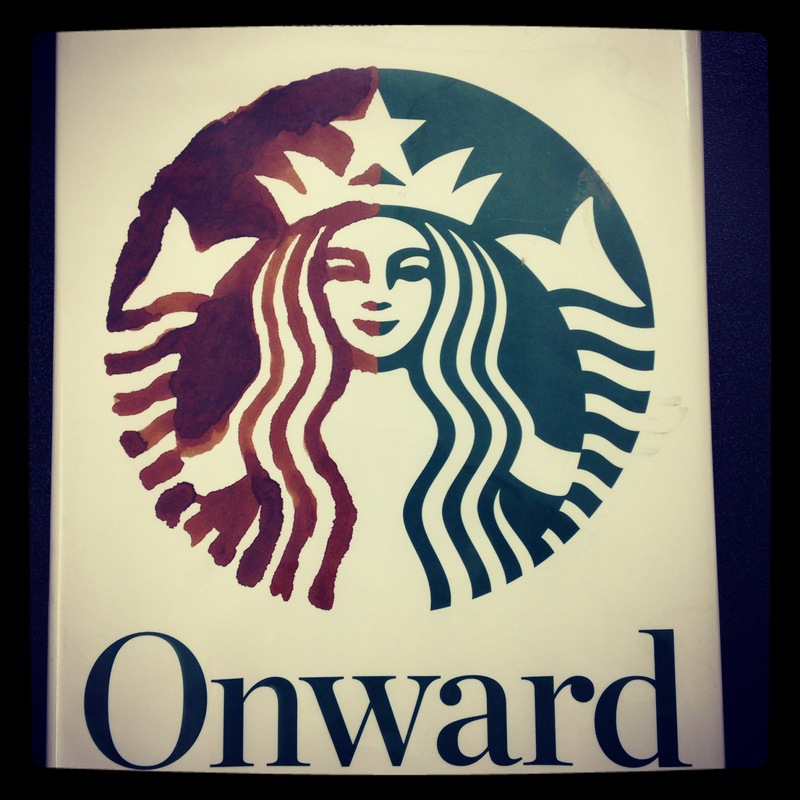 Long before I read Howard Schultz “Starbucks book” titled “Onward,” I’d seen it on display in Starbucks stores. You totally can judge a book by its cover, and the bold simplicity of the title made it something that I immediately and irrevocably put in the “most definitely get to this soon” column of my running mental reading list. Saying the book and its title “stuck in the back of my mind” would be a pretty accurate metaphor. I like to think of the very farthest back part of my mind as a wall covered in post its. 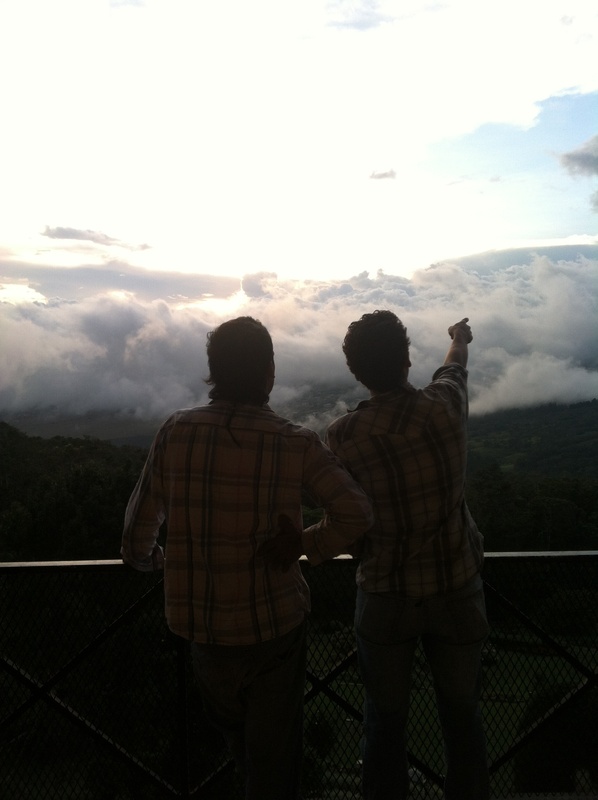 Like all walls, it is a finite space; there are only so many things a person can hope to remember. The fact that “Onward” earned a post it on that wall in the instant I first saw it on a display in a New York Starbucks is a testament to the powerful lasering simplicity of its title. I’m notoriously a cheerleader for weird little things and not big businesses, but the idea of “onward” intrigued me, even if it was being used by large corporation to title a book that was probably just a longwinded ad (aren’t all “story of the business” books?) But I liked the title enough that “Onward” scored precious real estate at the back of my mind, and the “Onward” post it has clung there, its gooey strip getting dusty and barely holding on, while I traveled the coffee lands and put together my own coffee book. Now that all that is completed, I have some time to tend to those old post its. I’m finally reading “Onward,” and—even though a lot of it is the kind of superficial business narrative writing that tries to infuse excessive melodrama into things like 4% drops in monthly comparative earnings—I am happy to find that the title word is not just an 11th hour filler to avoid calling the book “The Epic of Starbucks” or “A Tale of Mermaid Tails;” the idea of “onward” IS actually integral to Schultz’s telling of the Starbucks story. On p. 101 Shultz defines his understanding and use of “onward” as a closer to company memos as “a word that implied a willingness to dig deep and get hands dirty, but always with heads held high.” I’ve never worked for a publicly traded company, but I do know about digging deep and getting my hands quite dirty. During my tumbleweed months in the coffeelands, “onward,” and its Spanish incarnation “adelante” we’re precisely what I chanted to myself in the most difficult moments. I was alone, had set myself a formidable goal (and in doing so made commitments to many people), and had absolutely no cushion or net to absorb any missteps. When the going got tough I had the same single option I had when things were going well: keep moving forward. Talking to oneself in the common room of a Colombian hostel is quite a different situation from being ceo of a multi billion dollar company with shareholders and all of Wall Street breathing down your neck, but responsibility is responsibility whatever its size, and goals are goals, whether or not they make prime time headlines. For whatever fault people may find with Starbucks, I admire their onward. In my own small way I know that an unwavering onward is the one thing that can dropkick the “im” and leave nothing but possible. Pingback: To Better Understand | W h e n . C o f f e e . S p e a k s .
Pingback: Para Entender Mejor | W h e n . C o f f e e . S p e a k s .
The book is really well written, for which we also have to congratulate Shultz’s co-writer Joanne Gordon. I find the story very inspiring, there’s one quote in my head – “Starbucks is not a coffee company that serves people, but a people company that serves coffee”. Of course we can argue about the relevance of this statement, but the whole idea of keeping a company of this size connecting with it’s customer on this emotional level is just mind blowing. As I was reading I kept thinking about how it was true that, even for a giant corporation, that I personally connected with Starbucks–without being a diehard regular. That’s what the post scheduled for tomorrow is all about! Thanks for reading and making coffee!